Motley Crue bassist Nikki Sixx is headed to the mound. 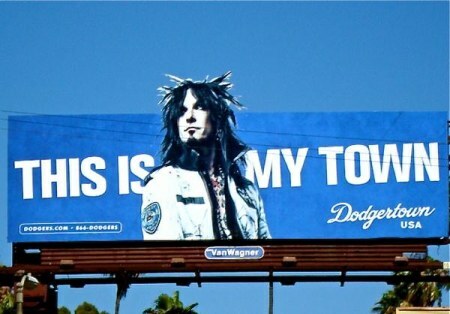 Sixx will throw out the first pitch in Dodger Stadium at this Sunday’s Los Angeles Dodgers game vs. the Houston Astros. The Sixx billboard was part of a celebrity-based 2009 marketing campaign by the Dodgers. Motley Crue fire up a European tour June 5 in Moscow; they return to team up with KISS for North American dates starting July 20 in Bristow, VA.